In a medium bowl, combine pudding mix and milk and stir until mix is dissolved. Refrigerate 15 minutes, until partially set. Stir condensed milk into pudding mixture until smooth. Fold in sour cream and whipped topping. Fold in bananas. Make a single layer of vanilla wafers in the bottom of a 9x13 inch dish. Spread pudding evenly over wafers. Crush remaining wafers and sprinkle on top. Refrigerate until serving. An impressive, 5-star banana pudding that's surprisingly easy to make. I've made this recipe about 25 times now because people beg me to bring it to every function! 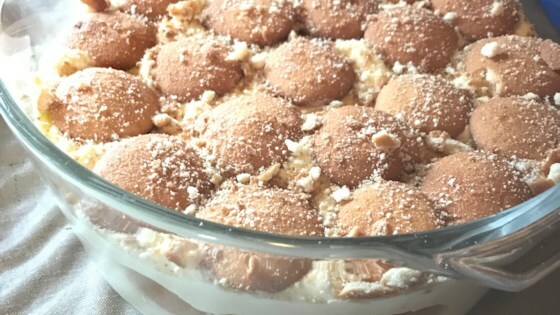 Hands down the best banana pudding recipe out there. This is sooo good and so easy. You have to let it set overnight though so the consistancy is better.